Because look at me ... I'm back to blogging nearly every day! (Huh.) 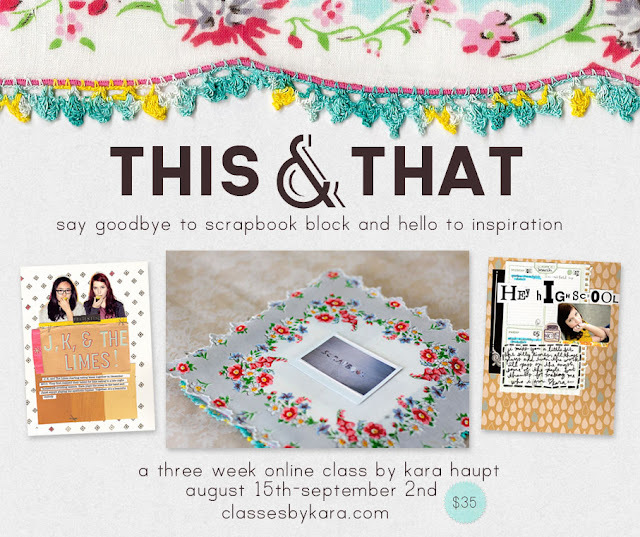 Anyway, here are a couple of pages I did for Kara Haupt's new online class, This & That. (Thanks, Kara!) You can sign up now, and you totally should. * What’s your band name? Choose a group of friends, your family, or your Significant Other and yourself, and decide on what your “band name” would be if you were a band. * Give a shout-out to anything by finishing the phrase “Hey, ______”. * Use a page of your planner or calendar on a page. 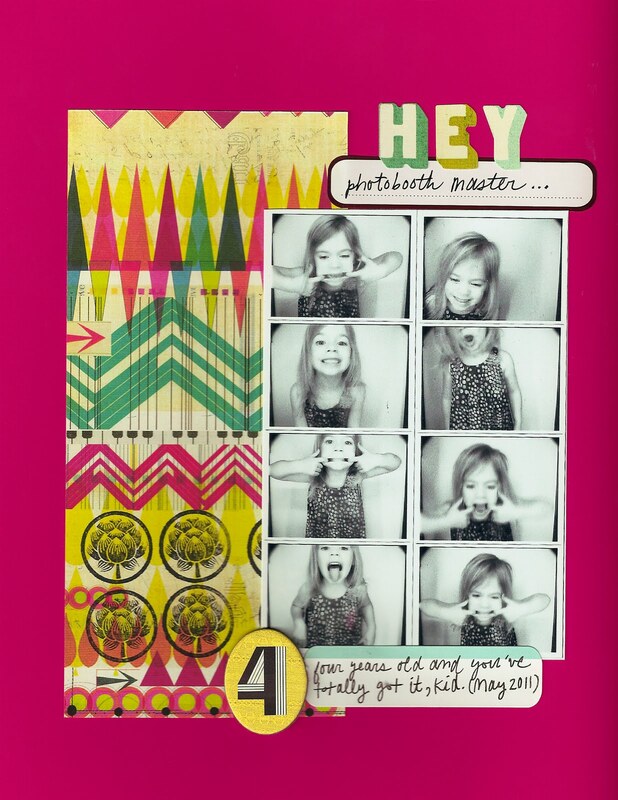 * Use a stamp to create a custom patterned paper. 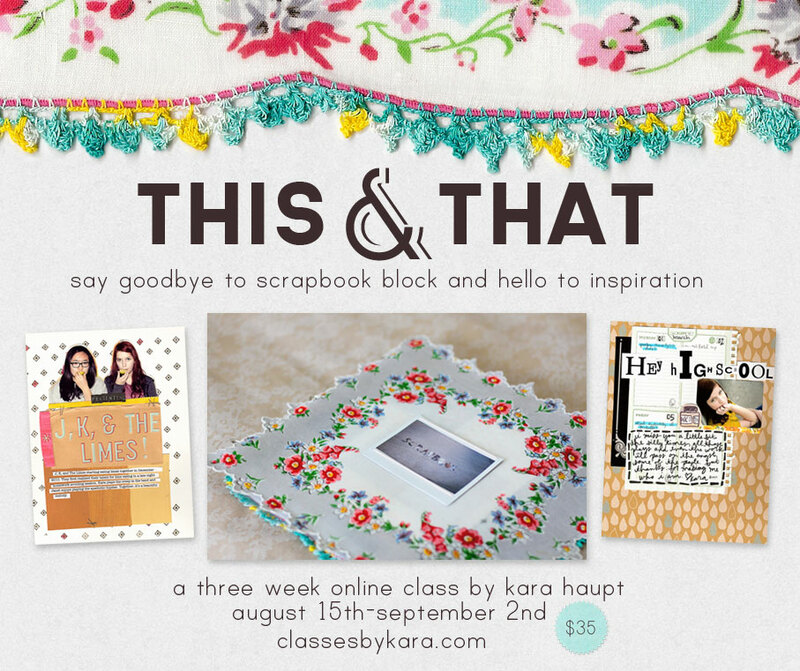 So if you're stuck in a creative rut, or haven't scrapbooked in awhile, or have always wanted to try a journaling project but didn't know where to start, you should definitely sign up for This & That. If you're busy during the dates class is offered, no worries – a complete class pdf will be available at the end of class to peruse at your leisure. So jump in – I know you'll have a fantastic time with this! What great pages! Those photobooth pictures are so cute, haha! Agh, photobooth pics, she's so stinkin' cute! 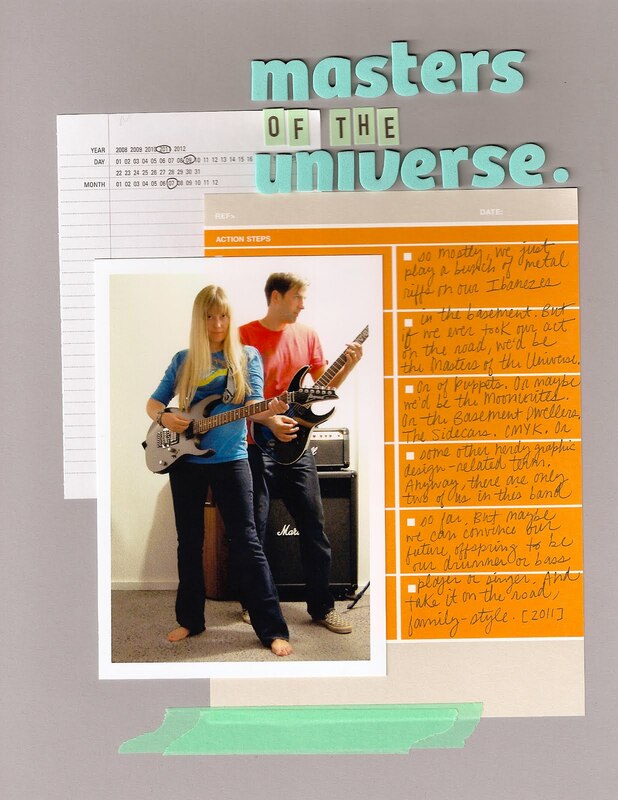 I like totally love that pic of you and Bo rockin' out. Can I be your roadie?